Stars such as Cheryl Cole and Stella McCartney have put their artistic skills to the test to help raise funds for a worthy cause. A host of big names have got out their box of felt pens, scissors and Pritt Stick to produce an image of a hare (yes, as in the long-eared, big-toothed animal) in support of Great Ormand Street Hosptial's Hare Styling appeal, which was started by celebrity hairdresser Michael Van Clarke whose daughter, Angelica, underwent a life-saving operation at the hospital at just two days old. The images are all based on a picture Angelica, now 15, drew. 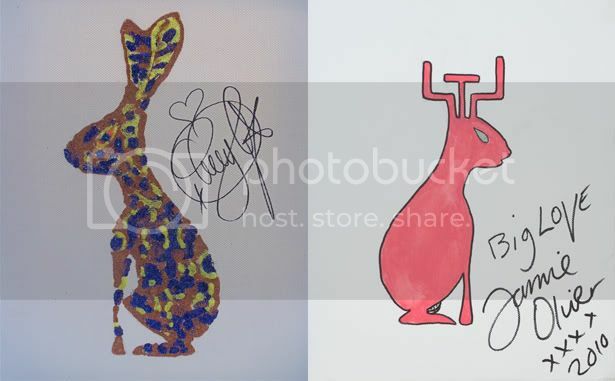 The Hare Styling paintings will be auctioned off at the aptly named Hare Ball event on 26 May at The Dorchester Park Lane in London, with the likes of Twiggy, Princess Beatrice and Stella McCartney due to attend and all proceeds going to the charity. Take a look at some of the A-list artwork below, and let us know which is your favourite in the comments section below. 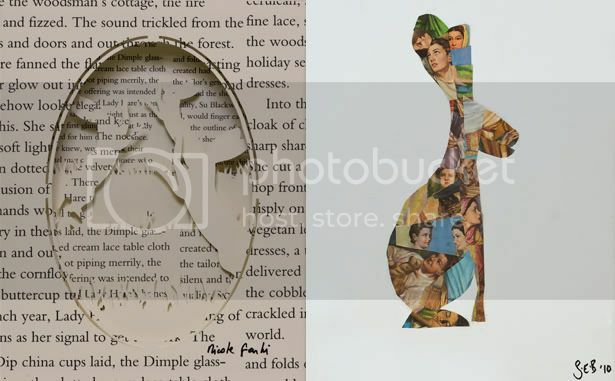 We love the creativity that designer Nicole Farhi (left) put in to her abstract hare which looks like its pulled from a page of a book, as well as the bright collage hare created by singer Sophie Ellis-Bextor. Cheryl Cole's purple and yellow hare (left) looks as though it was inspired by the great Impressionist artists, whilst Jamie Oliver's hare is as bright and cheerful as the man himself. Hairdressers Lee Stafford (left) and John Freida both went for bold, spring-time colors. 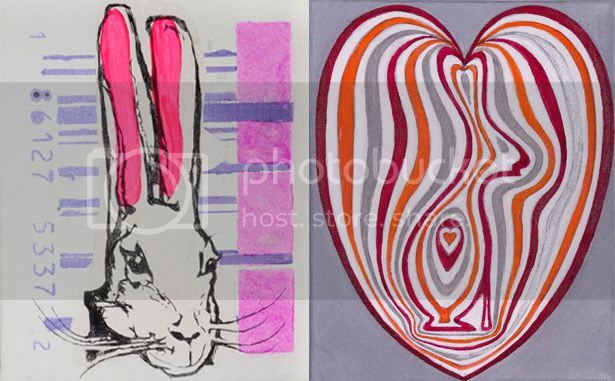 We love the barcode take on Stafford's sketched hare, and the psychedelic, heart shaped hare from Freida's reminds us of a delicious Easter egg. 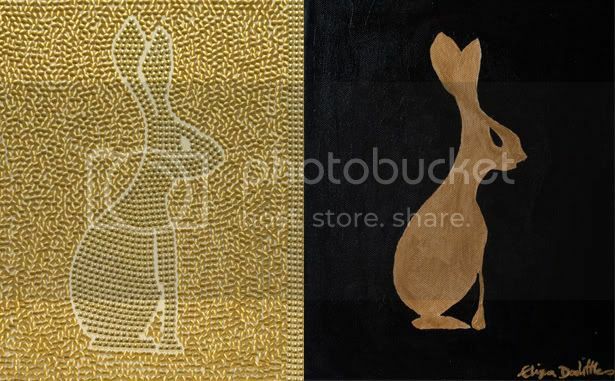 Designer Stella McCartney (left) went for a full-on golden bling effect for her design, whilst singer Eliza Doolitle opted for a more subdued hare on a black background. 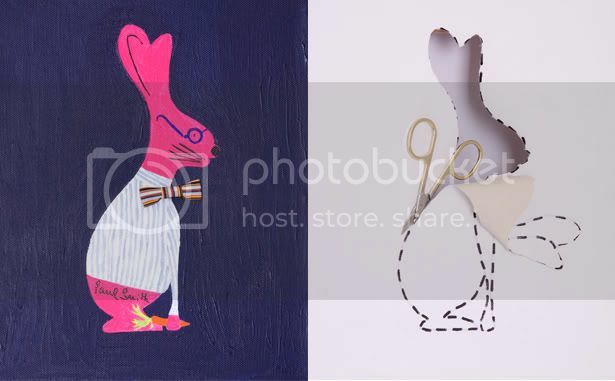 Designer Paul Smith's rather dapper pink hare (left) certainly looks like quite the gentleman, whilst renowned hairdresser Nicky Clarke made use of his skilled scissor work.